This is the fourth post in a series comparing historic "street view" to current Goolge Street Views. 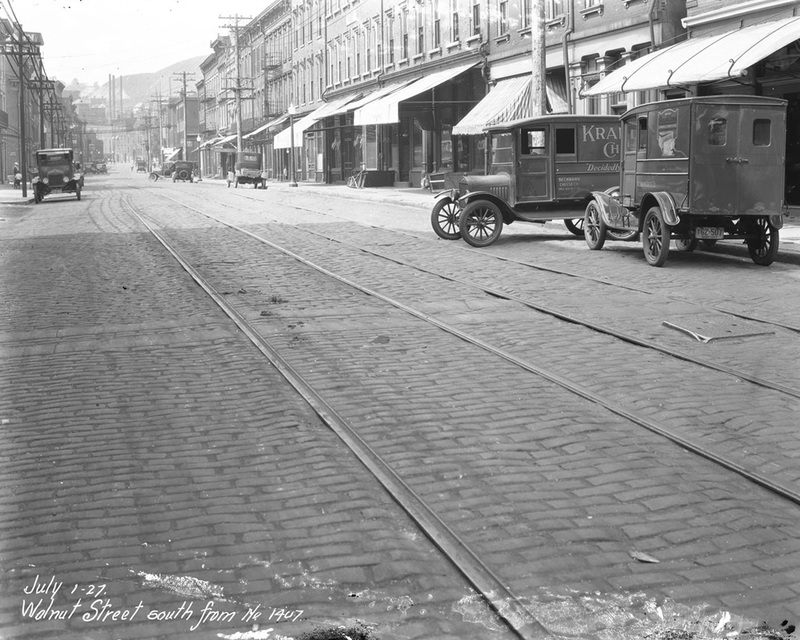 There are thousands of photos available online thanks to the Ohio Digital Resource Commons. 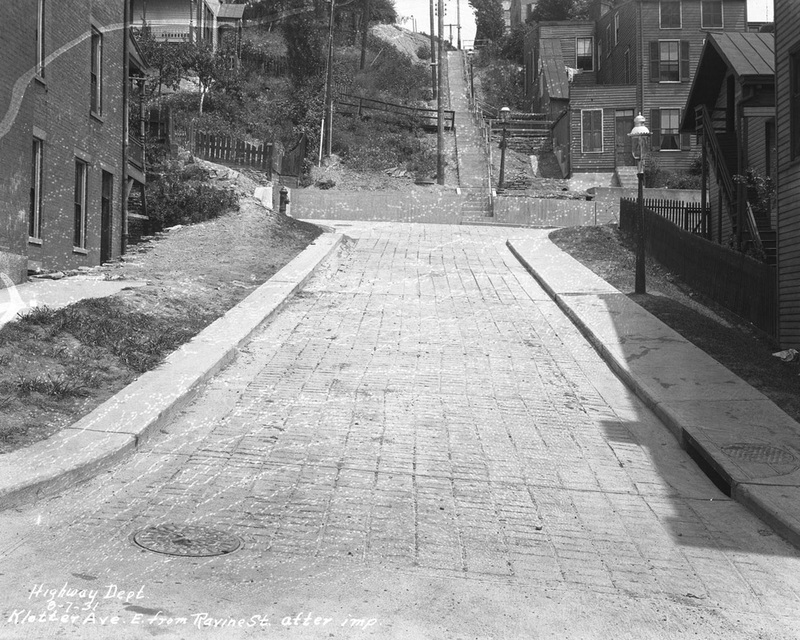 Looking west on West Clifton Avenue, just up the hill from Vine Street, in March of 1928. The approximate spot currently, as seen on Google Street View. Looking east from Ravine up the steps that were Klotter Avenue in March of 1931. Neighborhoods like this once lined Cincinnati's hillsides and were composed of mostly Appalachian transplants. The same view just a few months later, after street improvements had been made. The approximate spot currently, as seen on Google Street View. 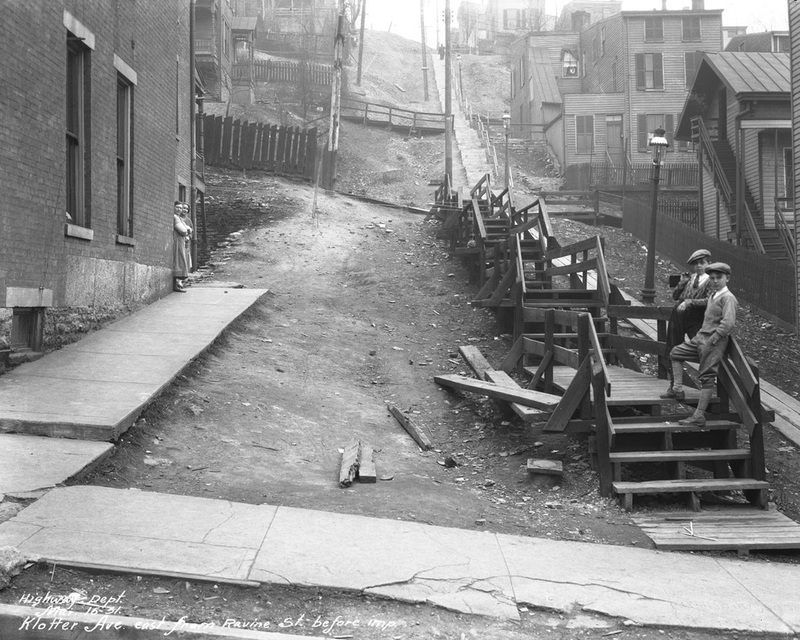 Homes on the hillsides have been mostly removed, as have many of Cincinnati's steps - though hundreds still exist and are used frequently today.